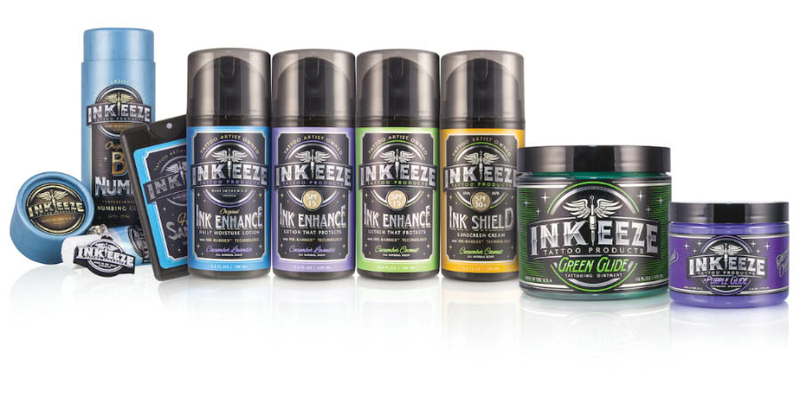 Visit www.Inkeeze.com for details. Must use coupon code at checkout for discount. Coupons may not be combined with any other offer. With Valpak® coupon only. Coupon void if altered. Expires 05/09/2019. Green Glide, Purple Glide, Bio Gel, Aftercare Cream, Aftercare Sprays, Tattoo Daily Moisturizer, Tattoo Sunscreen, Hand Sanitizer, Merchandise, Numbing. "Our goal is to make your tattoos as painless and pristine as possible so you can enjoy them for life. ", -- Sean Hoy, Founder.